Wait, what? Why would someone ever choose to write on his or her phone, do you say? I used to ask myself the same question. I used to think I would never ever write on my phone. But then I found myself in situations when I was frustrated because I couldn’t get those ideas down. Phones are portable. They go pretty much wherever you go. Phones are inconspicuous, if you care about that sort of thing, because everyone around you is already playing Candy Crush on their phones. For me, typing into a phone is usually faster than writing longhand in a notebook and safer than scrawling the note on a napkin. So I may have eaten my words a bit (pun intended). Using my phone to jot down an idea, a bit of dialogue, or a full scene or *gasp* MORE became practical during doctor’s visits, intermissions of my son’s choir concert, while waiting in a long line, or waiting the fifteen minutes for the dinosaur of my office’s copy machine to finish a print job. I have heard that a phone may become useful even in the bathroom, though I admit to nothing. I have a friend who drafted an entire book on her phone while sitting up during the wee hours of the morning with a child with chronic night-waking issues. Having said that, it goes without saying that it is much more preferable to sit in a nice comfy chair in front of your writing desk or on a chaise lounge in the mountains with a laptop and do all of your writing with a magnificent view. But as busy people who are also writers., we can’t always be so lucky. I am an iPhone addict user, so the following are iPhone apps. Most of these have the same or comparable apps on other platforms. These are ones that I actually use and have kept using, and I have a lot of apps that I have tried and deleted off my phone for the sake of saving space. So yes, these are my keepers. There are many apps like Dropbox, Google Docs, Writing Journal, etc. 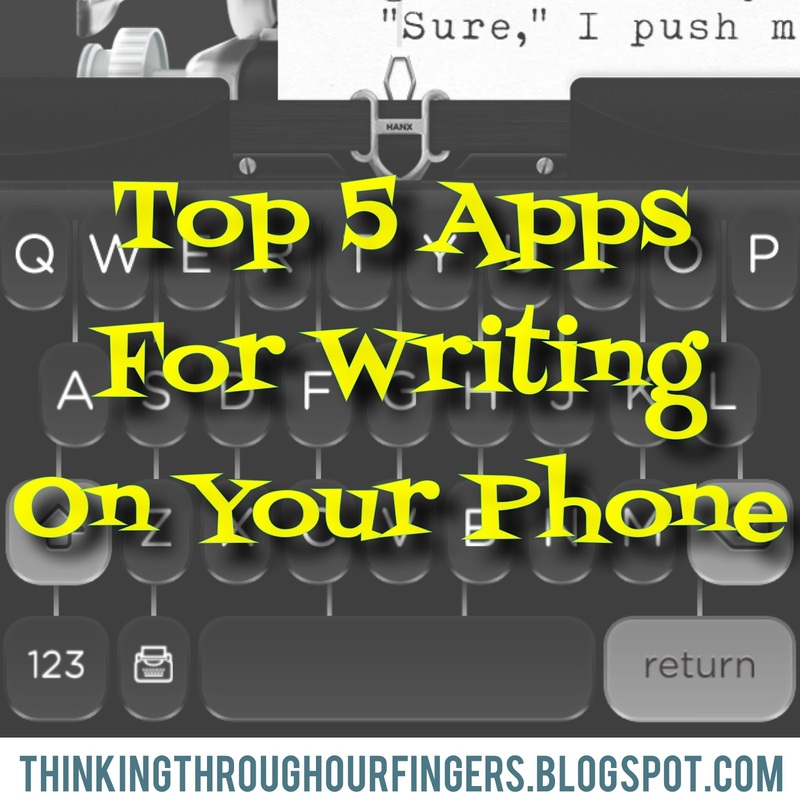 that are excellent for facilitating the writing process and transfer of documents, but this post is specifically for apps that help you actually get those words written/revised. These opinions are 100% my own and are not sponsored by any of the creators of the apps or the App Store or anyone associated with Apple, though if anyone would like to send me some free apps for all of the nice things I’m about to say, I wouldn’t say no. What I love: My critique partner Tasha and I both use this app regularly, and we both love how Evernote allows you to easily organize your notes, annotate, do full searches within notes, and attach reminders on notes. 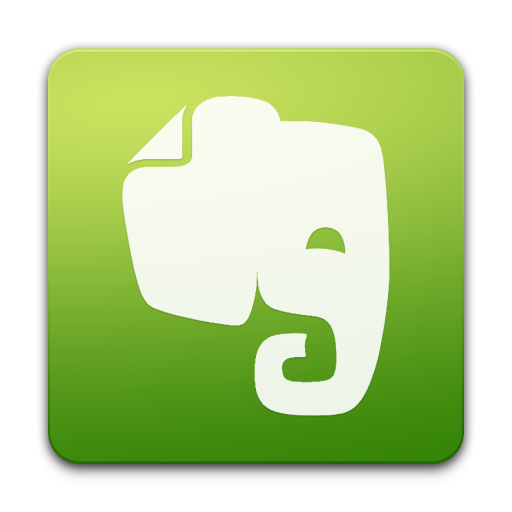 We also love how Evernote automatically syncs between devices. It’s also easy to share documents for the purposes of collaboration. It’s password-protected so you can keep your documents safe (which is only a pitfall if you’re like me and always forget your password). This is a full-capacity app that does have a free version so you can test it out and see if you like it. What I don’t always love: Honestly, there isn’t much I don’t like about this app. Because it has more features, it obviously took me longer to learn about the features. Sometimes I tinker a little too much and want a distraction-free writing zone, and so I use one of the other apps below. 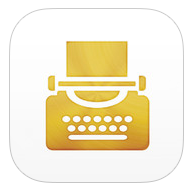 What I love: Speaking of distraction-free writing, this app (created by Tom Hanks) is perfect for this! Quite simply put, using it is a lot of FUN. When you open it, it gives you the view of an old-fashioned typewriter with a blank piece of paper, and you just start hammering away at the keys — it gives you the option of on-screen keys that are part of the typewriter, or you can use a bluetooth keyboard. As you type, you’ll hear the sound of the typewriter keys, and I’ve found that something about the ambience that this creates makes it ideal for ridding myself of distractions. I use this app to fast-draft scenes or dialogue when I don’t have a lot of time or when there are lots of things going on around me (playground noise, restaurant noise, my son’s karate class), and I’m always surprised and pleased at how many words I can pound out on this little typewriter. What I don’t always love: There’s not a lot of options for editing, aside from deleting and retyping, but again, I use this for fast-drafting in small increments of time. The biggest downside to this app that I’ve found is that it doesn’t sync, and when you do share via email, Dropbox, or other options, it shares as a PDF instead of text. My easy fix is to “Select all” and then paste it into an email to send to myself (or a Google Doc if you have that app as well). 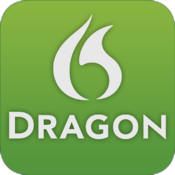 What I love: Dragon Dictation is, as its name specifies, for dictation of notes. It’s no frills — you simply push the record button and start talking. Compared to other dictation apps or even the iPhone built-in microphone option, I’ve found the translation ability of this app to be excellent. I’ve found it perfect for drafting out dialogue, especially when I’m on a long drive sans kids, though I’ve done it with the kids in the car too (the latter merely requires more editing of the kids’ contributions). What I don’t always love: There can’t be a lot of background conversation or it will pick up those words as well. The app isn’t YOU, so the app will sometimes not know what word you mean (but again, it’s a lot better than any of the other dictation apps I’ve tried). Character’s names in particular tend to get butchered (but not always), and it doesn’t learn from correction. Accordingly, there will be a bit more clean-up than with other apps. There is no auto-sync feature, but you can email yourself what you have dictated. Great for times you need hands-free writing for whatever reason. Maybe for when you’re in the shower?…. (ooh, I should try that!). What I love: Sometimes I just need to actually scribble something down. Or maybe sketch out a map to help me with world-building. Or make a flowchart. Penultimate is a notebook app that lets you write in it like you would with pen and paper. You can have several different notebooks, choose the type of “paper” you want and color pen you want, and scribble to your heart’s content. And yes, you could carry a notebook and pen around with you after all, but again, these apps are all about portability. I’m proud to be a die-hard pantser writer, but I sometimes need to work out elements of my plot and literally connect the dots between characters or plot points, and Penultimate is great for that. The utility of this app will depend on how much you like to use notebooks for writing. What I don’t always love: Penmanship has never been my strong suit, and I honestly don’t use this app as much on my phone as I do on my iPad because it’s harder to write on a smaller screen. I have a stylus to make the penning easier, though it does work with your finger. 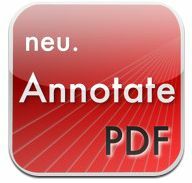 What I love: This app allows you to scribble annotations right on your PDF files. You can use it somewhat like Penultimate, but it’s an awesome way to get some revising/writing done. When I reach that stage, I save my document as a PDF, open it in this app, and make quick annotations as I read. You have the options of using a highlighter or a variety of pens of different colors. It’s super easy to export or email the annotated files with this app too. (Also great for critique partners and beta readers, FYI). What I don’t always love: Same as for Penultimate. I use my stylus, and it offsets the cons of trying to “pen” on your phone’s screen. One more thing: There are always updates on these apps, and sometimes I don’t like a particular update for a specific reason. I always recommending reading the app’s “current version” reviews before updating to see what how people like the latest changes and/or what’s been improved. What about you? Do you ever write on your phone? If so, please share your favorite apps! Helen Boswell loved to get lost in the pages of a story from the time she could sound out the words. She credits her dad, an avid fiction reader, with encouraging her to read ALL OF THE BOOKS on his shelves from the time she was a teenager. 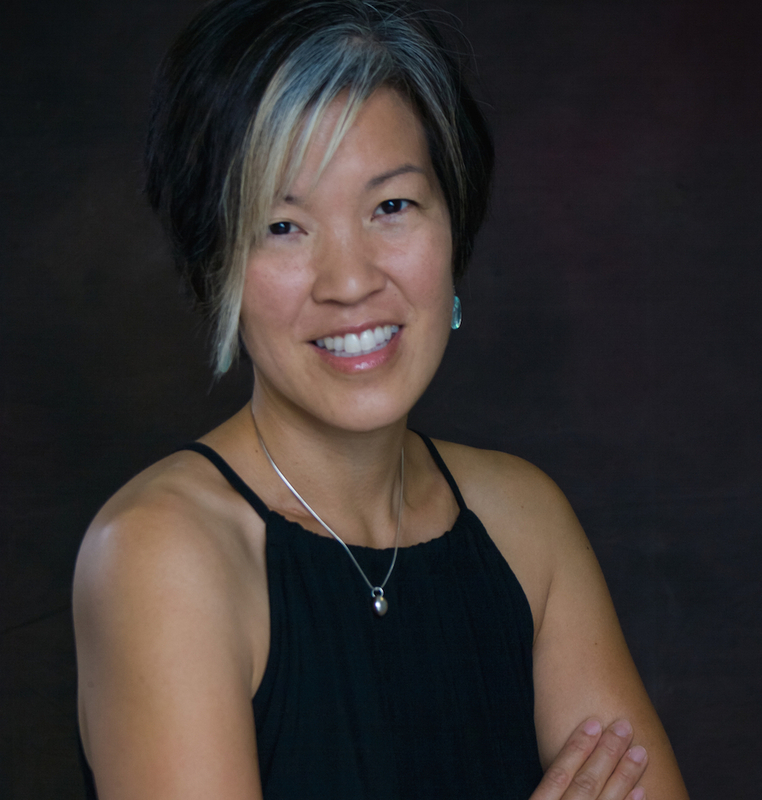 An author of both urban fantasy and contemporary romance, she loves to read and write characters that come to life with their beauty, flaws, and all. She is the author of YA urban fantasies MYTHOLOGY, THE WICKED, THE ETERNAL, and NA contemporary romance LOSING ENOUGH. She is also one of the authors of the YA/NA crossover anthology LOSING IT. She writes on her iPhone, iPad, and MacBook.